A Slick, low visibility, low profile, yet durable plate carrier designed to be used either under your jacket or as an outer ballistic vest. This is a light platform, with limited modularity. 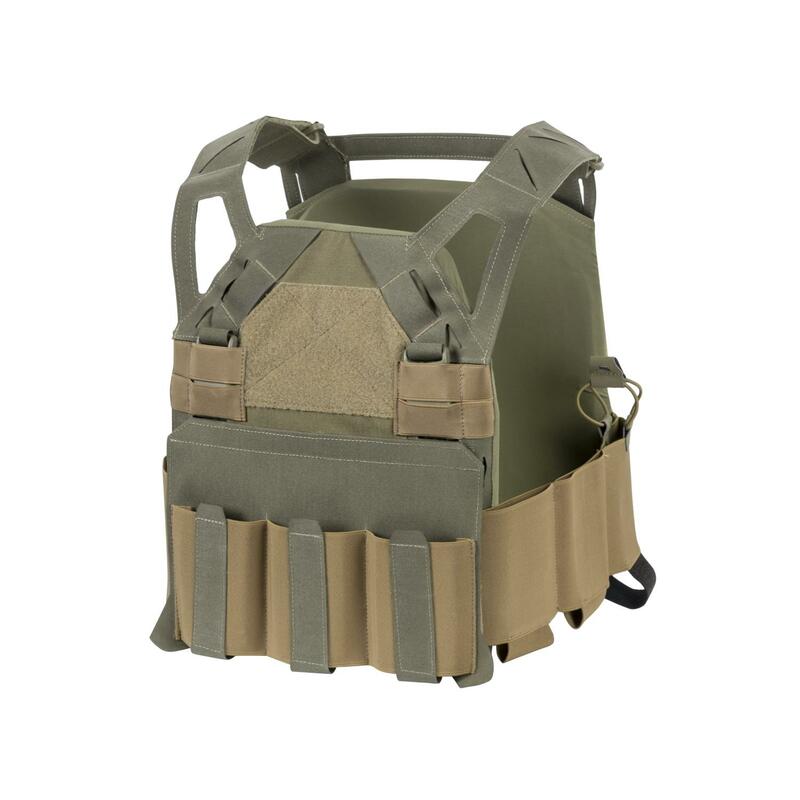 It features a fully elastic cummerbund with two carbine mags pouches and one radio pocket on each side, as well as a front flap with three elastic pouches for carbine/smg/pistol mags. The slick construction is perfect for CQB use, with almost no loose parts that can be snagged within the environment. Large Velcro® panel on the front and back for unit ID patches. The HELLCAT® is perfect whenever you want to run a lower profile, but also want to have the availability to have some more firepower at hand. PTT attachment points on front.